High Definition 800X480 Resolution-a crystal clear picture. Sensible Digital TFT Touch Screen. 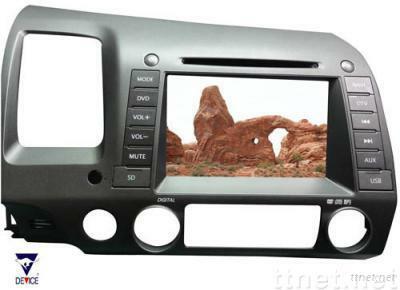 GPS/DTV/CCD/Bluetooth can be connected to digital touch screen icon, more convenient compared with touch bottom. Back-up CCD Camera automatically activates upon switching into reverse, preventing from accident. Bluetooth handsfree kit, easy access and safe while driving the car. With USB port and SD card slot, easier for storage. Optional with built-in or external GPS navigators. Customized User Interface. 2 extra video out for upgrading your headrest monitor from backseat. Auto Parts & Transportation, Car Monitors, Car Monitors/n.e.s.